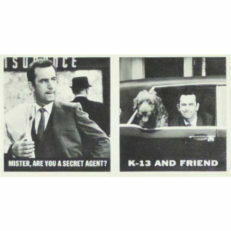 The 1966 Topps Get Smart trading card set is as unique and fun as the television show from which it was inspired. 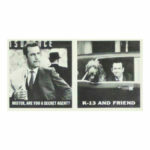 Every card was a dual-panel front with a perforation down the center. The reverse of each card featured a riddle with a scratch-off panel that revealed the riddle's answer. Because the cards were perforated and the backs were "interactive", it is very uncommon to find cards in pristine quality. That aside, it is still possible to find highly graded cards. Our checklist includes all of the cards in the series and can be searched or sorted by card title or number. 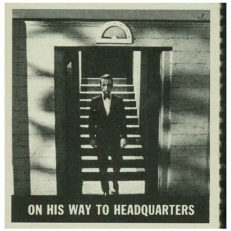 Titles are found as a caption on the front of each black and white card. 15 Gad, This Gun Is A Toy, Too! 22 Two Heads Are Better Than One? 36 Think They'll Recognize Us? 41 Oops, I Shot A Hole In The Roof! 46 Is He Trying To Attract My Attention? 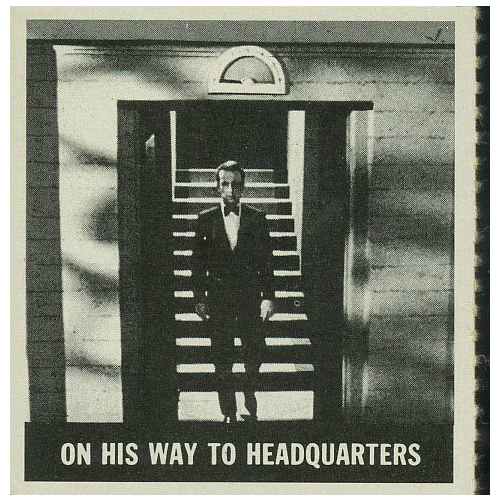 47 Mister, Are You A Secret Agent? 49 I'll Shoot When I Count 3...Maybe 4? 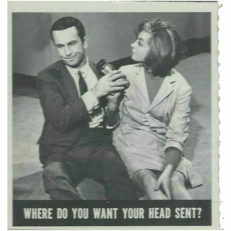 51 Where Do You Want Your Head Sent? 52 Think You Got Me? I Think So Too! 53 There's 1 Way I'll Talk-That's It! 56 Careful With Your Shave Cream! 57 Wonder Why It's So Quiet In Here? 60 Something's Suspicious! Five Aces! 65 Don't You Know I Have Hay Fever?